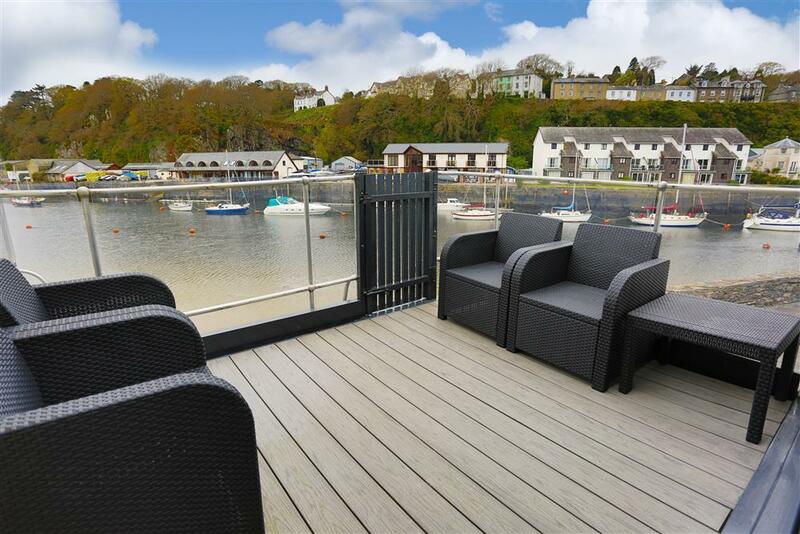 Guests are overjoyed with the location of this private quayside development, five minutes walk from the town centre and the famous Ffestiniog Railway steam train station. It's a rather special villa with westerly views across the harbour mouth and Ballast island. 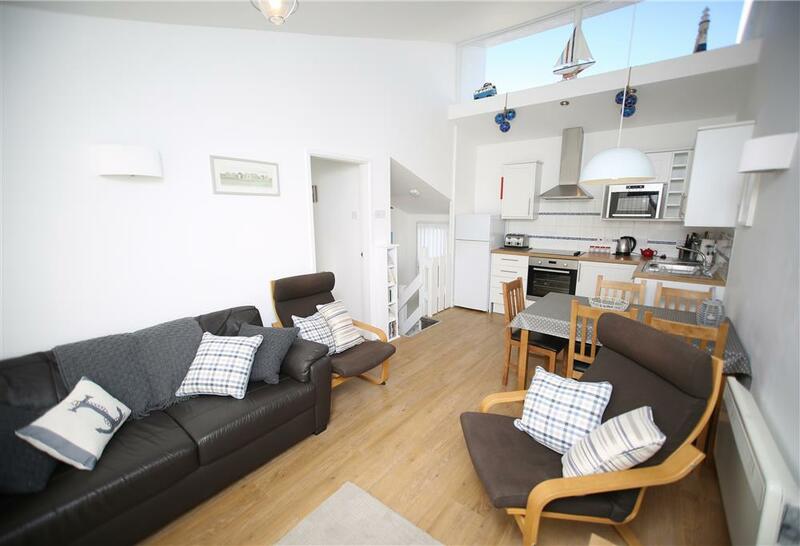 The living room, which includes a new galley kitchen, and twin bedroom occupy the whole of the 1st floor; an additional two bedrooms and shower room are on the ground floor. All bedrooms have the same waterside view. Enjoy peaceful scenes from the balcony as the cormorant waits for a passing meal, swallows skim across the water and the grey mullet just below the surface makes ripples on the calm water. Just the place to relax and sit with a pair of binoculars. This is a good central location for a holiday property in North Wales. 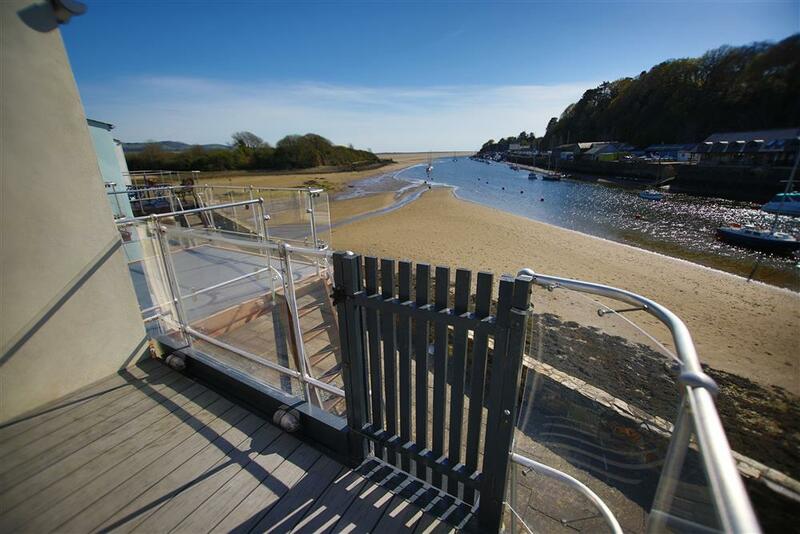 Easy access to sandy beaches at Borth y Gest 15 min walk and Morfa Bychan's Black Rock Sands (2 mls). Snowdon and the pretty village of Beddgelert are 7 miles. Portmeirion village, prestigious hotel and gardens are 2 miles. Cricieth, Caernarfon, Harlech are just a few of the castles in the area. 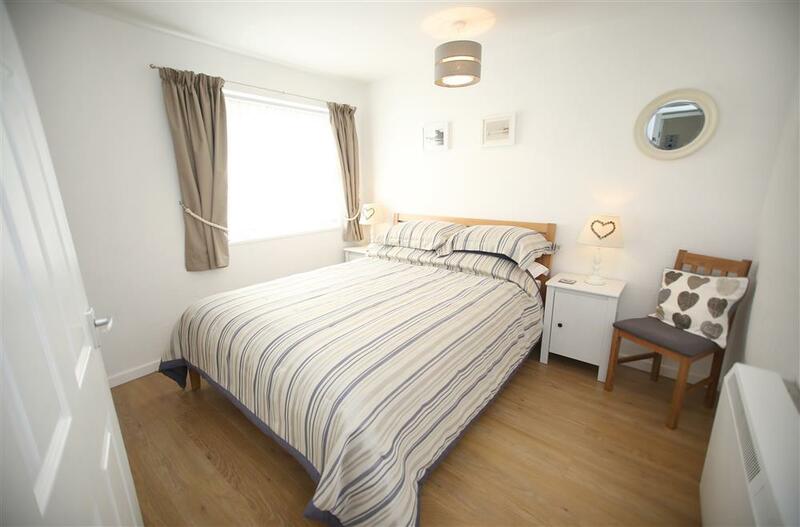 3 BEDROOMS: 1 Kingsize bedroom and 1 Single bedroom on the ground floor and 1 Twin bedroom with two single beds situated just off the lounge, on the first floor. Bed linen provided, please bring your own towels & tea towels. 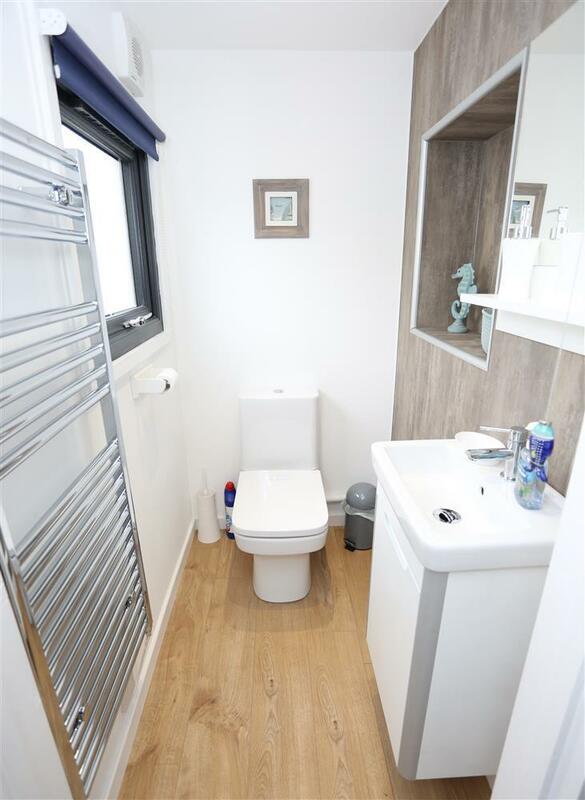 SHOWER ROOM: Shower cubicle, hand wash basin and WC on ground floor. SEPARATE WC and HAND WASHBASIN: ground floor. 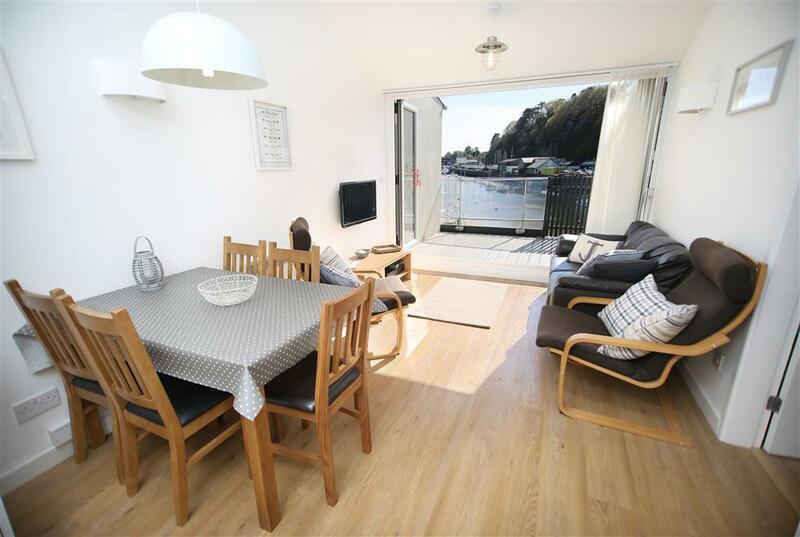 LIVING ROOM: includes LOUNGE/DINING area with water and island views, 32" flatscreen TV, DVD player and doors leading onto a large balcony with seating. 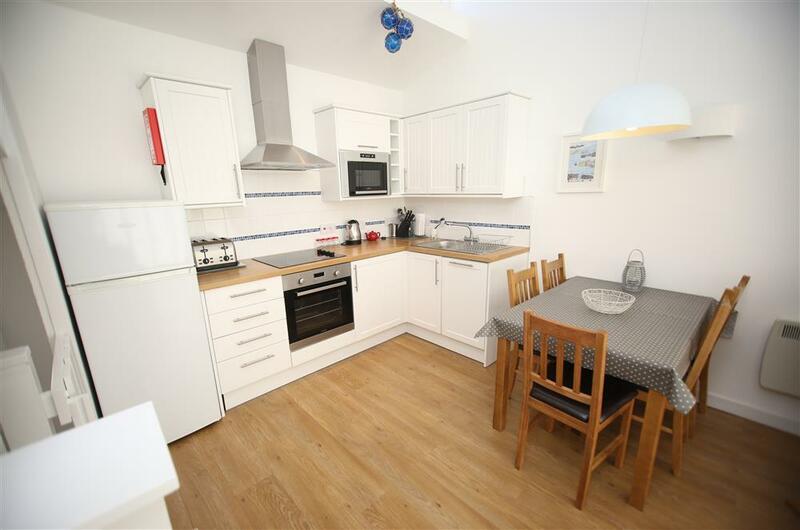 KITCHEN: Fitted modern galley kitchen with electric hob and oven, fridge/freezer, dishwasher and microwave. PARKING: Allocated parking for 1 cars. HEATING: Electric heating in all rooms. PETS: Sorry, NO pets at all due to allergies. Cot & High Chair are provided (cot linen not provided). F.A.Q: Access is via a proper front door on the ground floor - the ship's ladders that you can see in some pictures are for decorative purposes only. WiFi: Yes, unlimited WiFi free of charge. Mini-break Rules for this Cottage: A mini-break is a holiday for less than a week and/or may start on a day which isn't the normal changeover day. This property owner will only accept mini-breaks at medium notice of 14 - 21 days between Easter and October half term. Outside of this time mini-breaks are bookable 56 days before the holiday. Mr & Mrs C (Oct, 2017): "A very nice holiday home, with wonderful views and so convenient for the steam railway station." 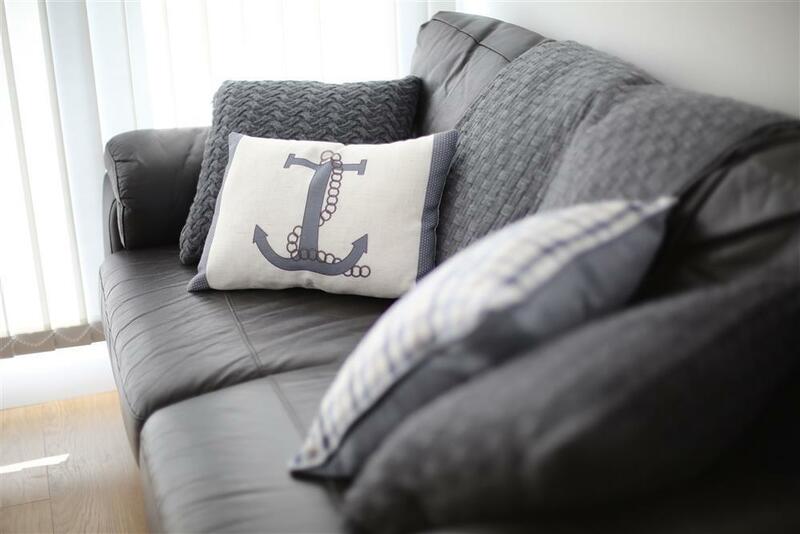 The T Family (Sept, 2017): "We have had a lovely week in your superb Apartment, it is a great base for all the places of interest and activities... Thank You." The A Family (July, 2017): "A beautifully appointed holiday home. 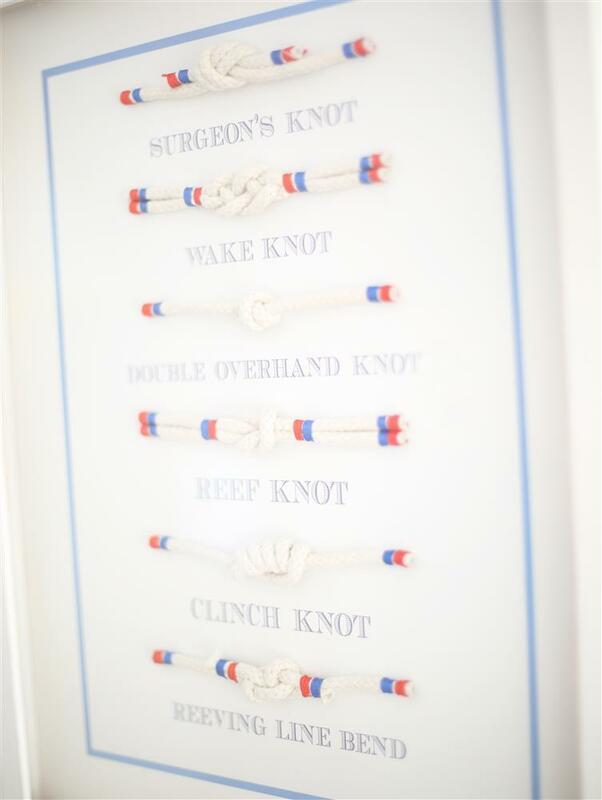 Well equipped with attention to detail. The balcony was amazing and the view was to die for... all in all we had a great week and would love to come back again." B & S (May, 2017): "A fantastic base. The balcony was put to full use - what a suntrap with amazing views. Hope to return next year." 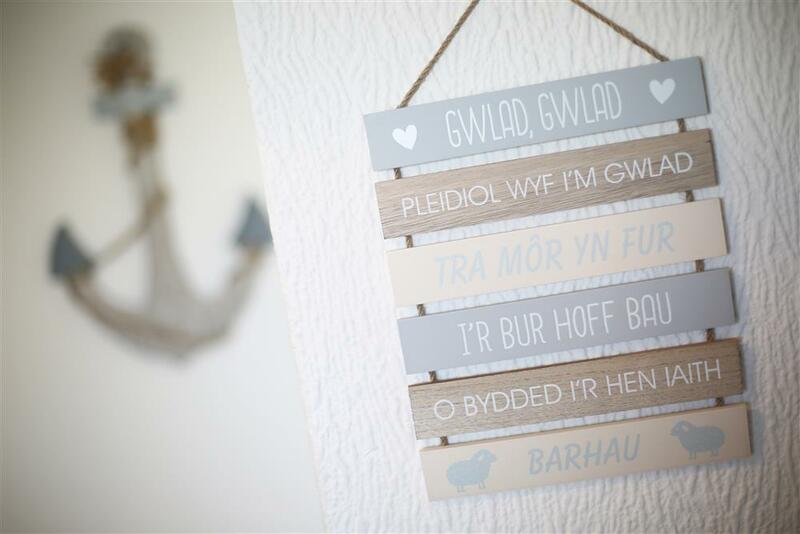 I & A (May, 2017): "We have had a great week in your lovely apartment which is ideally situated to visit Portmeirion, castles and the beautiful Snowdonia national park. 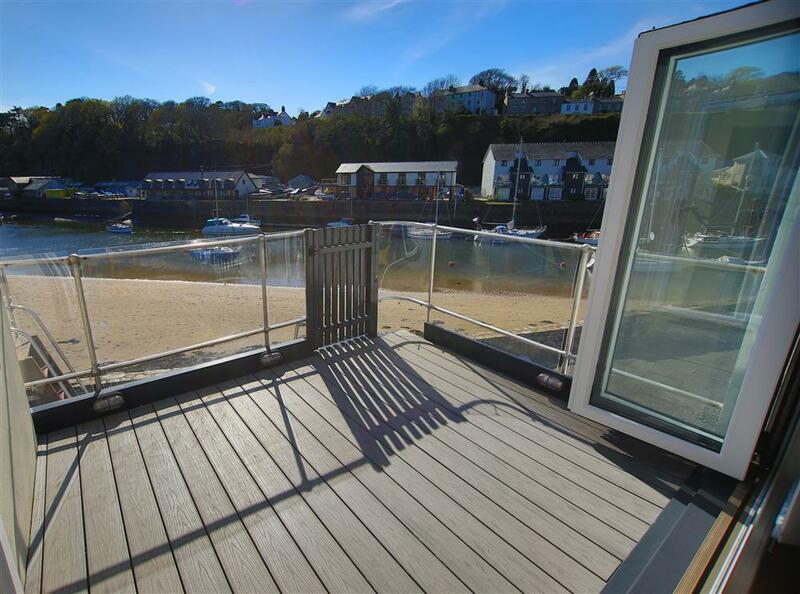 The balcony is a real suntrap - it is lovely to sit with a glass of wine and watch the world go by." The B's (May, 2017): "WOW! Fabulous apartment. Great kitchen and facilities. Felt like being at home. Great location, kids especially loved 'crabbing' by the harbour. Balcony was a hit - sitting & watching the boats come in. Defo recommend. In fact already have." The M Family (April, 2017): "We have had a lovely week here with our daughter and 2 young grandchildren. The apartment is everything we could have wished for with lovely comfy beds and a wonderful view from the balcony. A most enjoyable week." C M (September 2016): "Sailing Home was a really lovely place to stay for 3 generations of the family. All home comforts had been thought of. We had great weather and enjoyed days out as well as the beach. We would love to return." N G (2016): "The apartment was ideal, but mostly, the weather was heavenly. We loved the location and really like to sit on the veranda looking at the view." J L (2016): "Lovely place & we had great stay. 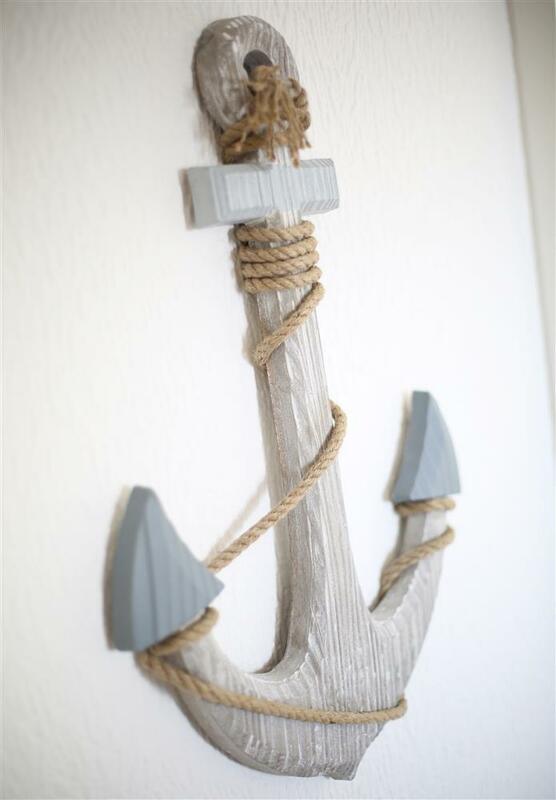 Sailing Home was very well finished and great standards." 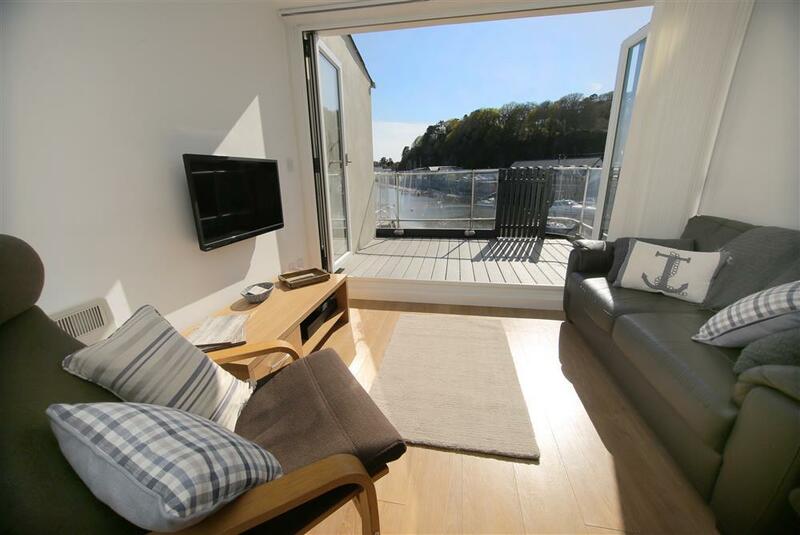 "The two storey property with inverted living area offers views over the harbour basin where there is a balcony with glazed balustrade to enjoy. The whole property has been represented and comes together well in a contemporary style. Commendable levels of housekeeping evident throughout." 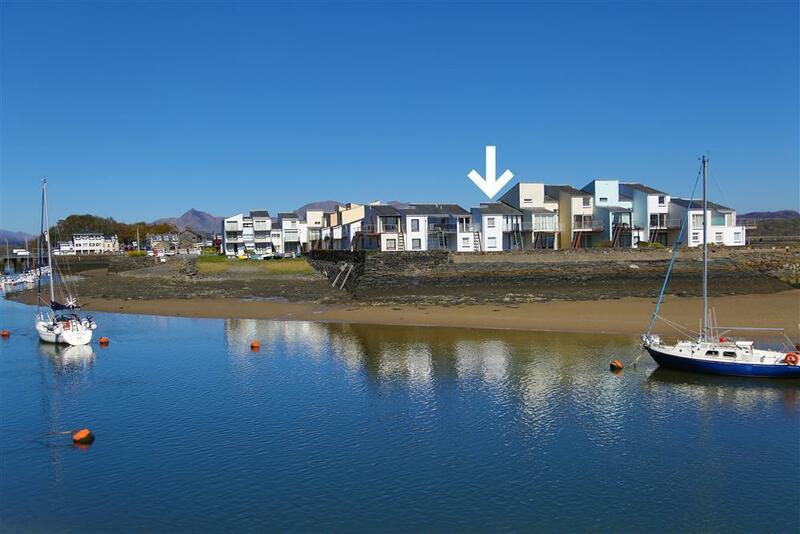 This duplex villa is situated on the harbour side of South Snowdon Wharf. 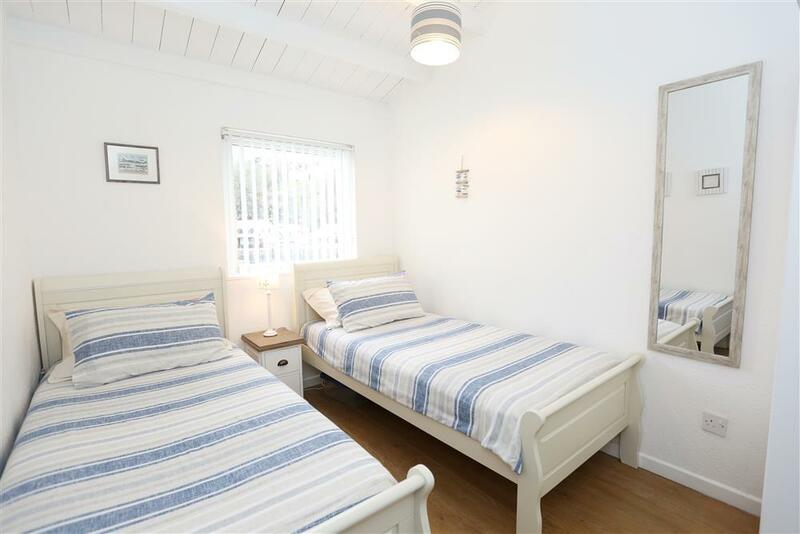 It is a purpose built holiday property within a private complex. Approach is from a main road into tarmac drives throughout the estate. The designated parking is suitable for one vehicle and is in a well-lit area just 10yds from the property. Further parking is available a further 100yds away. Access to the villa is up one small step into the hall area. The front door is 82cm wide. The master bedroom, single bedroom and shower room can all be found on this level. The shower is enclosed in a corner unit with a central opening door. 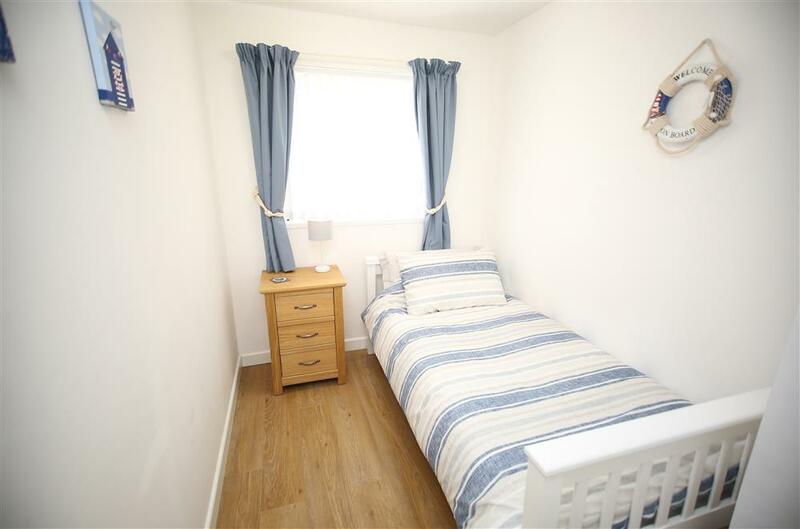 There is excellent storage on the ground floor with both bedrooms having fitted wardrobes. The main living area is accessed via the stairs which have two 90 degree returns. On the first floor you will find the living/ dining area /fitted kitchen. The third (twin) bedroom leads off this living room. The living area has a colour television with built-in DVD player and freeview with a remote control. The balcony is accessible from the living area through bi-fold patio doors over a small step/lip. 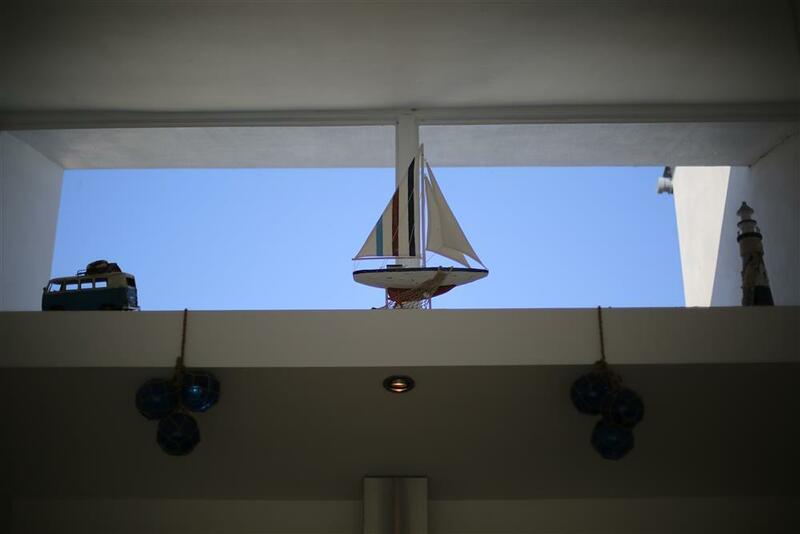 For safety purposes, the balcony railings have been completely enclosed with clear perspex. There is good lighting in all the rooms with the light switches at a height of about 120 cms and wall sockets at 25 cms. The bedrooms all have bedside lights. 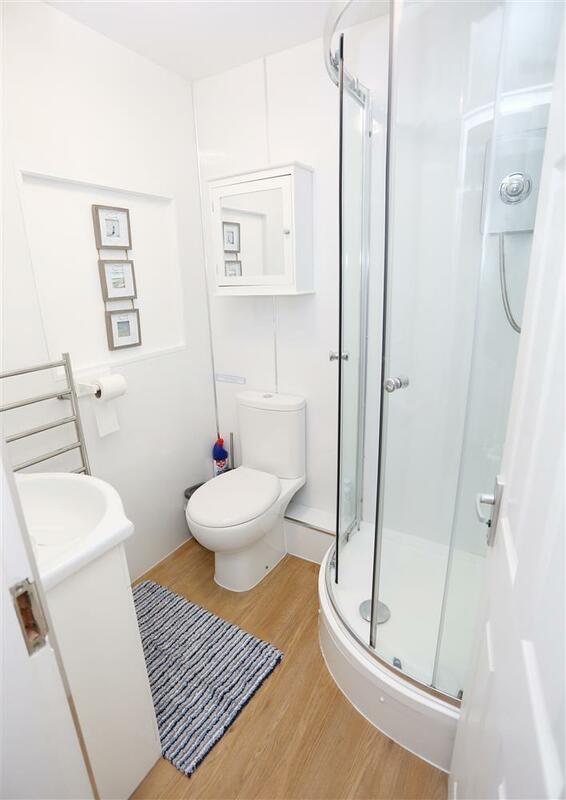 The door widths are 74 cms to the bedrooms and 66 cms to the shower room. The sockets in the kitchen are at worktop level. There is an outside light. There is no phone.